Reading through the newsletter it is easy to see that we are back into full swing already. The D2 students are into the thick of the last semester with the Mock Exams, while the D1 are looking into the start of the Extended Essay. In the MYP, the M5 are wrapping up the Personal Project and working on their ePortfolios. In the Primary, the P6 from Arusha were here this week working with the Moshi P6 on the kickoff to Exhibition. It looked like a great balance of work and play from what I could see. In other classes, I sat with the P 2/3 this past week as they were working on different crystal structures. They seemed to be having great fun while learning about science. Outside of the class, football and basketball have their first games this weekend and over two of the next three weeks. 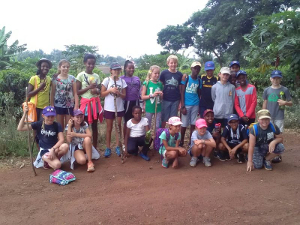 The Outdoor Pursuits program heads off to the Usambaras next weekend and Mt Meru the week after. Lastly, you may have noticed that we are working on our landscaping around campus with the long-term plan to become more sustainable and eco-friendly. Thank you to those people that have given us advice on this as we start to move forward. Please note that on Tuesday January 29th the PTA AGM will be in the Director’s Garden at 7pm. Thank you to those that have volunteered to help with the Kangha Gala. 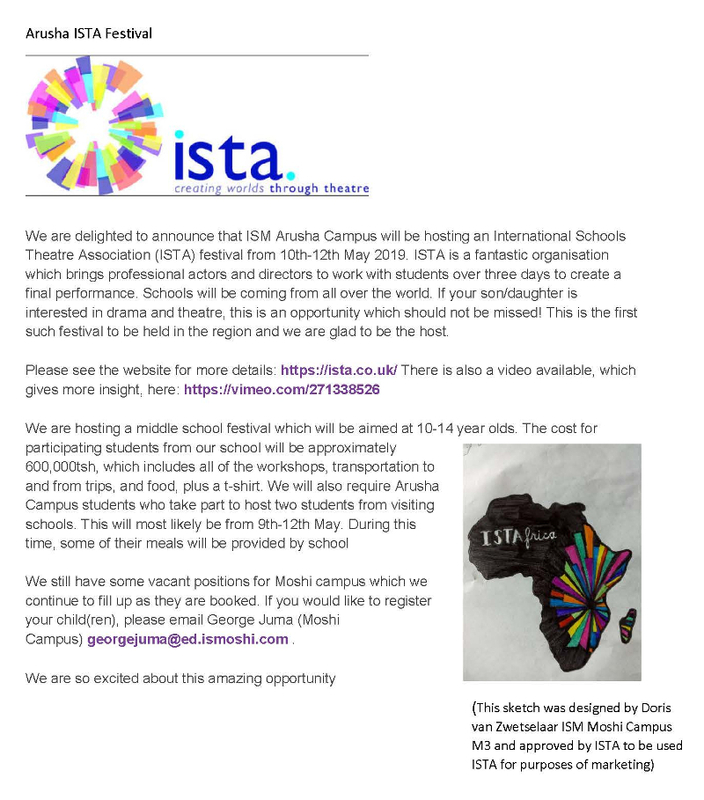 The event will be February 23rd and is designed to raise money for scholarships that aallow Tanzanian students to attend ISM in the Diploma Program. 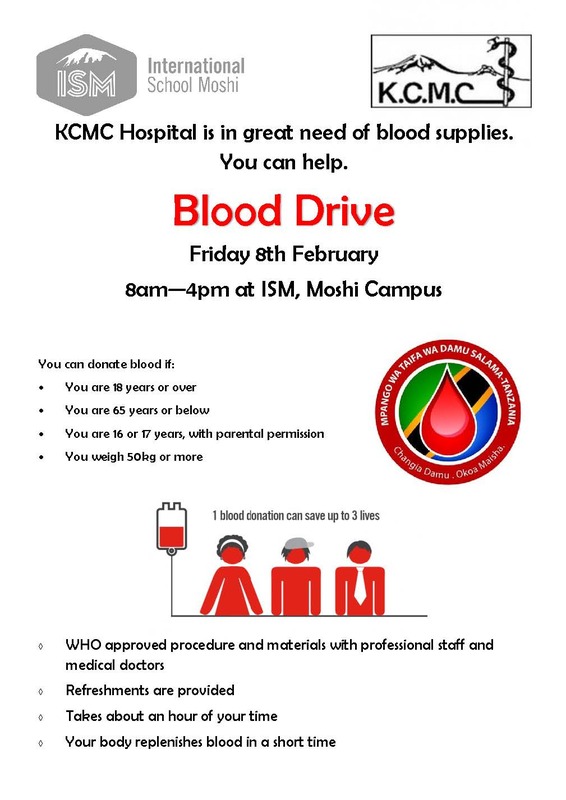 Please watch this space for more information. In two weeks we will have book week, I am looking forward to the various activities and the new round of book doors. More information will be coming out soon. Student or cultural exchange programmes have grown in popularity in recent years. The benefits to all parties of such exchanges are obvious. Learning about other cultures and perspectives leads towards greater acceptance and understanding. The experience often increases students’ (and teachers!) awareness of alternative approaches to learning and enhances interest in and awareness of global issues. On a personal growth level, working with students from different schools, countries and/or cultures, often enhances self-confidence and self-esteem. Confronting challenges or being involved in dialogue outside a familiar network often encourages students to step outside their comfort zone which can have a hugely positive impact on learning. Across several days over the last two weeks, we have been lucky enough to host a group of DP students and teachers from Jensen Education in Sweden. The school has a long established connection with the region and has been coming here for a number of years. This was the first time they included visits to ISM and working with our students as part of their itinerary. Across their visits, the students from Sweden joined our own D2 students in ISS and Global Politics. 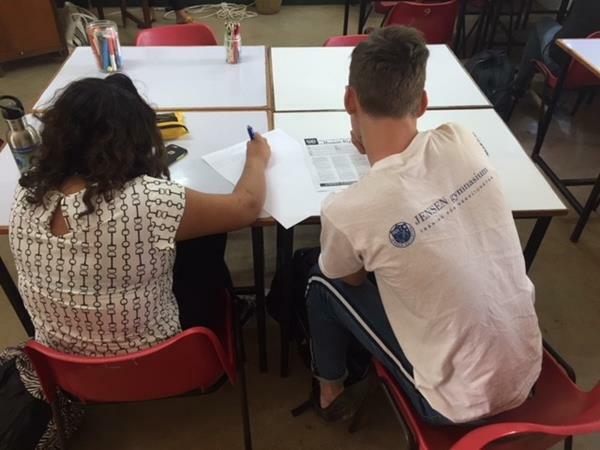 Towards the end of their second visit, mixed-school groups were tasked with creating a constitution for a new, imaginary nation based on the UN’s Declaration of Human Rights. It was a fantastic learning experience for all involved and a real reflection of the impact such cultural exchanges can have on learning at so many levels. 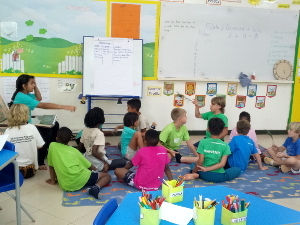 Asante and “tack” to all the teachers and students involved and we are already thinking about ways to strengthen our connection ahead of another anticipated visit next year. best of luck to all our young scholars. D1 are presently being introduced to the Extended Essay component of their Diploma Programme. The Extended Essay is a compulsory part of the Diploma and an opportunity for students to explore in-depth a topic of personal academic interest; the Grand Passion. The Extended Essay is a challenging undertaking but is often identified by students as a source of immense pride. Completion of this task is highly respected in the university admissions process, with universities worldwide identifying the Extended Essay as giving IB graduates a distinctive academic advantage over their non-IB peers. I will share with you more details about the Extended Essay over the coming weeks. Good luck D1 with this demanding but fulfilling task. We are thankful to members of the ISM community who created time to join us in the Service Assembly last Monday. Service in MYP involves carrying out a feasibility study on a chosen service activity/project, planning, doing the service and then reflecting. Our students were able to reflect not only on what they did in the last semester but also describe what new knowledge and skills they had acquired. This semester, M1 students will keep themselves busy at the community garden, while M2 will continue with bee keeping. M3 students will be at the Day Care center as M4 refurbish parts of Kili Orphange. The M5 students will be working on murals with Kibo secondary school. The M5 candidates presented their Draft 2 Reports on Tuesday January 15. Their supervisors are busy checking these reports this week. On Tuesday, all supervisors will do a workshop on marking personal projects in preparation for the final reports which are due on January 29, 2019. The exhibition will follow on Tuesday February 12 as from 10:35am to 2:30pm. The M5 students will take Mock Examinations on February 20 to 22, 2019. Students will do on-screen examinations in English Language and Literature, Integrated Humanities, Integrated Science, both Extended and Standard Mathematics and the Interdisciplinary examination. They will also take paper-based Kiswahili Language and Literature exam. The ePortfolio subjects are English and French Language Acquisition and the arts (Drama, Music and Visual art). These examinations entail research projects and are currently progressing well. They are expected to be completed by March 14, 2019 before the Easter Break. We encourage M5 parents to work with teachers and support, guide and counsel their children during these stressful moments. As part of career guidance, M5 students have been encouraged to attend university fairs with the DP students most of this academic year. The Canadian University fair is scheduled for Thursday January 31, 2019 here in campus. Parents/Guardians are encouraged to attend whenever possible since this helps in making informed decisions with regard to career choices for students. M1 students proceed to Lake Eyasi for an educational trip as from February 26-28, 2019. This trip involves Design and Integrated Humanities (I&S) subjects. Details of the trip will follow soon. We wish our U15 boys and girls soccer and U19 boys and girls basketball teams competing in the first tournament at Braeburn International School today all the best. I am sure they will do themselves and the school proud. The 2nd round of the tournament is on Saturday the 2nd of February at ISMAC and the final round will be held at ISM on Saturday the 9th February so make sure you have blocked out the morning on your schedule and come down and support our students. Don’t forget the Kilimanjaro marathon is coming up and it is not too late to sign up, check the website. The MYP students have all submitted their training plans for the next 6 weeks and should be out there getting ready to take part in the 5km event and some brave souls are signing up for the 21km. If you are looking for training opportunities and some company, there are several things happening on and around campus to help you prepare for the Kili Marathon. There is Monday 3.15pm Mr Foya run session, Tuesday 5.30am Cross fit and 4.30pm Mr Melhado run session, Wednesday 3.15pm Cross fit, Thursday 5.30am Cross fit and 4.15 Sports fitness club, Friday 5.15am run interval training, Saturday 7.30am Campus run with Ms Jaime. For the football fans out there don’t forget that Saturday soccer is back on from 9am to 10.30am for PYP students. This month we will again be holding inter house challenges. Primary will be testing their math knowledge in a primary math competition and Secondary will be competing in a five a side indoor football challenge and a spelling quiz. The points are incredibly close, particularly between first and second, and 2 wins this month would definitely see changes in the leader board. Good Luck. We have admitted two new boarders into the Primary dorm this week. We hope they will settle in quickly and feel at home. This weekend, D2 boarders were doing their final preparation for the mock exams. The exams start on Monday 21st January, and end on Tuesday, 29th January. During this period of the exam, the D2 boarders will be allowed entry into the dorms during class time. The rest of the school will support the D2 students by keeping silence as much as possible around the campus. We continue to encourage students to take responsibility in many aspects of their lives. In boarding this is most clearly seen in the tidying of their rooms and the shared areas like the kitchen and sitting areas. With the start of a new semester, this and other items have been discussed with students as a reminder to returning students and as an introduction for new students. 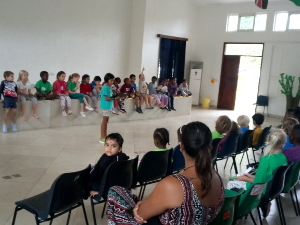 The week started well and has ended on a great note with the P1/2s presenting in the Primary gathering. Well-done P1/2s. Action: In our gathering, Kamili Donnelly, in P4, talked about a toy drive she is setting up for pediatric patients in KCMC. She is asking for toys that are still in good condition that your child does not mind giving up. All these toys will be collected in Mr. Ben’s office starting Monday this coming week and eventually donated to children in KCMC. Book week will run from Monday 4th of Feb to Friday 8th of Feb. Students will dress up as a book character and we will have our door competition among many other activities in that week. Parents and other community members are encouraged to sign up with your child’s teacher to come as a mystery reader. Spirit Day– Twin Dress up day on the 25th of January. Some of the responses from this weeks tuning in excercise ‘See, Think, Wonder’. Please have a look at our notce board for more. We will be pursuing some of these avenues in the coming weeks. Our EC1s in particular enjoyed spending time in ‘The Batcave’ with a torch this week. Our EC2s have been making life-like artworks of the sun and all children have begun to explore the size and force of this most essential feature of our planetary existence. We will use ‘meteorites’, white ash and flour next week to show children in an exciting and hands on way the reason why the moon looks as it does- pock-marked and scarred. Swimming is Tuesdays. Library remains on Fridays. Mexican art is very colourful and full of life. P1/2 have been exploring Mexican art and they created a few pieces this week. They will continue to create more pieces next week and you will be able to see them when we invite you to our show day the week after. P1/2 were also learning about the art of performance. They worked on skills such as turning the body to face the audience as they speak as well as speaking extra carefully to make sure that the whole audience understands them. They worked on listening to the beat of the music as they danced and to enjoy themselves as they perform. They worked extra hard to prepare for their primary gathering performance. Well done P1/2. This coming week, we will be culminating our unit work. The children will be sharing their creative homework with the class as well as reflecting on their creations. Last Friday, the P 2/3 students had a visitor who worked on an experiment with them. 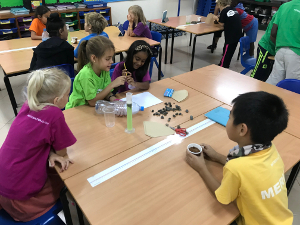 Ms. Sarah, took some time out of her schedule to help the students inquire into what happens to water saturdated with espom salts, and table salt, when it is left to evaporate. The results were rather exciting, students documented this through pictures and writing, please ask them to talk you through their experiment. We also designed a water filtration system and talked about the real world implications of how much freshwater we have available, and the impact of water filtration systems on recycling and reusing water. The students have been working on creating videos of their water filtration systems which I hope to share with you in the upcoming weeks. A reminder that Book week will take place from February 4th to 8th 2019. I have sent an email detailing the events that will take place. The students have enjoyed using different apps to review concepts and document their findings of rituals. It was great to see them take pictures and add music and text to create mini books. In the coming week, the students will be summing up their learning and presenting to their peers. We will also be looking at homonyms and learning how we use them appropriately. This year we have started off very well with students demonstrating agency in very impressive ways. Mehar created an information book and brought in a number of artifacts to teach us more about her culture. We also want to appreciate Ms. Margaret Brunt from Secondary, for sharing some Indian artifacts to discuss in our units. Kindly note that on the 25th January we will have a Spirit Day. Students will choose a “twin” and they dress up the same. Posters are being made, and projects are being planned for our presentations on Energy and Power next week. Next Friday, we will share their current group projects at 9:35. I am learning about wind, solar, hydro, and other powers that comes from the earth as I visit the groups. The class shared their Georgia O’Keefe inspired paintings on See Saw this week. We hope you get a chance to enjoy their beautiful pieces. Next week both during class and at home students will be completing their personal summatives to end this unit. Their choices are: Create a crossword puzzle with all the new terms, write a speech, create an advertisement, or engineer a vehicle. Book week is starting the 4th of February. Parents are invited to read a book to the class. It would also be neat to do an art project themed around an author or illustrator. We love reading! – if it is important to you, we would like to hear about it. Please don’t be shy as we would love to hear from you. In the week ahead we will complete our UOI summative assessments (breakfast cereal advertisements) and will start our new unit on human body systems. 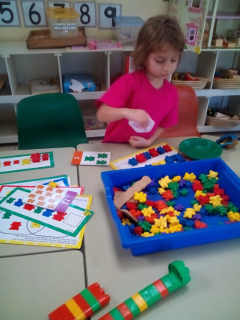 We will also work on angles, volume and capacity in maths.